SALT LAKE CITY, Utah – HARMAN’s DigiTech “Stomp-tember 2012” is in full swing with the introduction of the new Snake Charmer Tremolo for iStomp users. The Snake Charmer Tremolo delivers that classic, pulsating volume-modulated guitar sound heard on records like The Smiths’ “How Soon Is Now”, Creedence Clearwater Revival’s “Born on the Bayou,” the Black Keys’ “Howlin’ for You” and countless other hits. The DigiTech Snake Charmer Tremolo gives guitarists complete control over every aspect of the tremolo effect. The Speed control regulates how slow or fast the tremolo pulsates, from a slow throb to a fast oscillation. Depth controls the degree of the effect, from a subtle modulation to volume completely on and off. Waveform changes the “shape” of the tremolo sound, from a choppy square wave on and off to a smoother pulsating sine wave and many other variations. It can even be turned into a panner using the exclusive Spread knob. 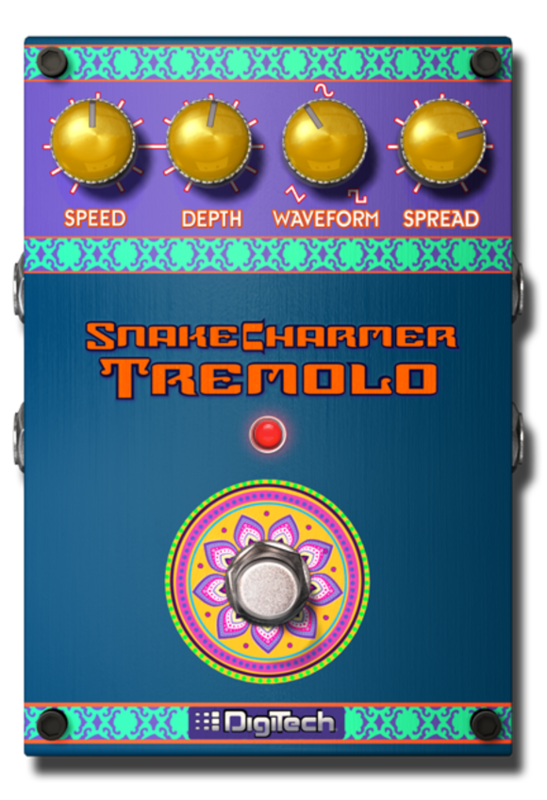 The DigiTech Snake Charmer Tremolo e-pedal will be available in September 2012 at an introductory price of $0.99. This introductory price will run through September 31, 2012. After the introductory period the price will change to $7.99. The DigiTech iStomp is currently available at $179.95 suggested retail.